Although it might just be a prototype for now, doesn’t it look striking? 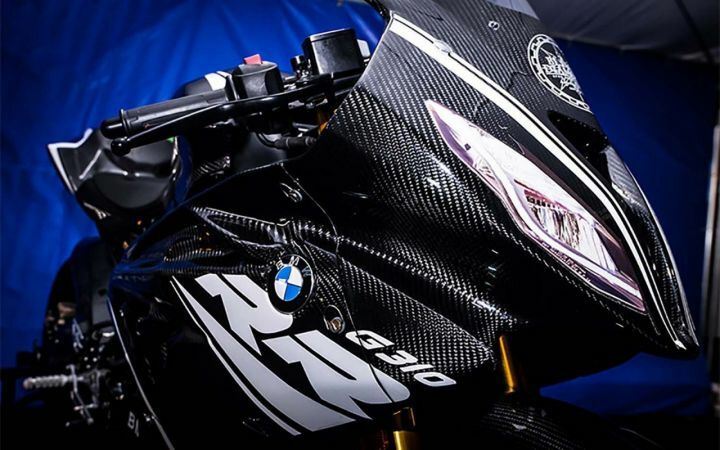 On the design front, the G 310 RR takes inspiration from the limited edition, track-only version of the BMW S1000RR – the HP4 Race. 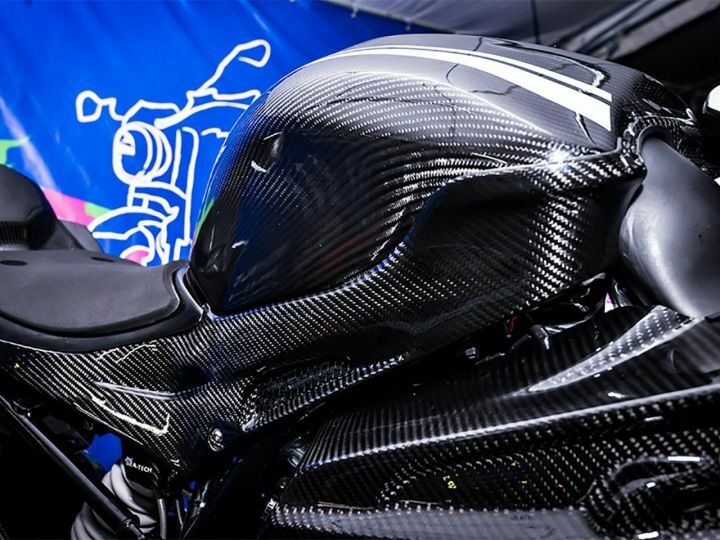 The fairing gets a subtle nose spoiler at the front and gill-shaped slits on the side to aid aerodynamics. It also gets faux headlights, giving it the appearance of a track-ready race motorcycle. Oh, did we mention that all this comes finished in carbon-fibre? 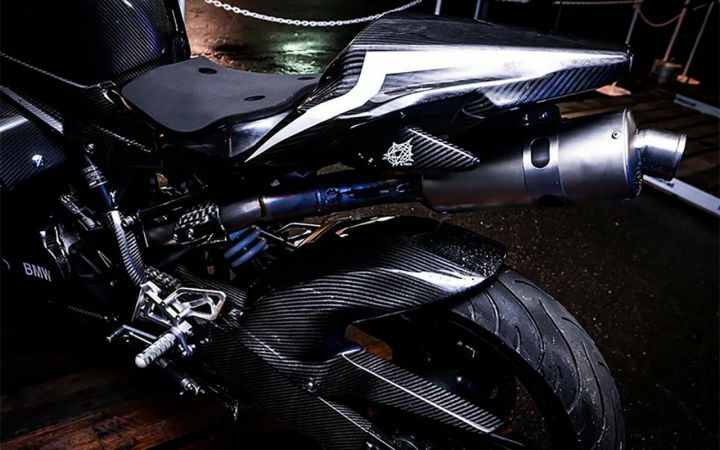 Based on the images, it’s quite hard to tell how many of its components it shares with the standard G 310 R or even the TVS Apache RR 310 for that matter. However, if you look closely, you’ll notice that there are some similarities in the wheel and suspension setup. 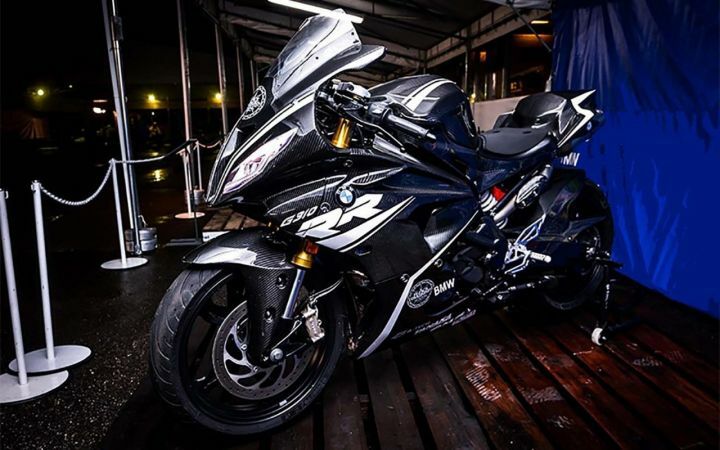 The BMW G 310 R is powered by a 312cc single-cylinder, liquid-cooled engine that’s also seen on the TVS Apache RR 310. This motor churns out 34PS of power at 9500rpm and 28Nm of torque at 7500rpm, mated to a 6-speed transmission. As mentioned earlier, this particular model seems to be a display unit. The Bavarian giant is expected to showcase the machine at both INTERMOT in October and the EICMA Show in November. So stay tuned for more details.